The Greenway coalition, including public land managers, conservation and recreation groups, and local citizens, has spent years designing a plan that balances conservation and ecological health with increased human visitation in the Middle Fork Valley. Construct a new 1-mile trail with spectacular views for people of all ages under the dramatic cliffs and spires of Mt. Garfield. A new trailhead will be installed for the trail, including a picnic area along the Taylor River. 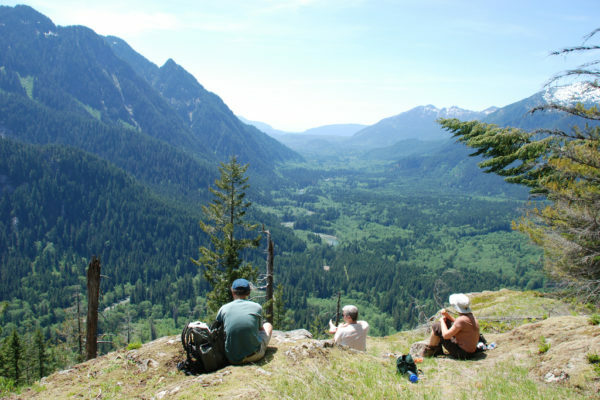 Benefits Family-friendly trail; low-elevation views of Middle Fork Valley and confluence of Middle Fork and Taylor River; additional trailhead with parking and amenities; picnic area with beautiful river views. 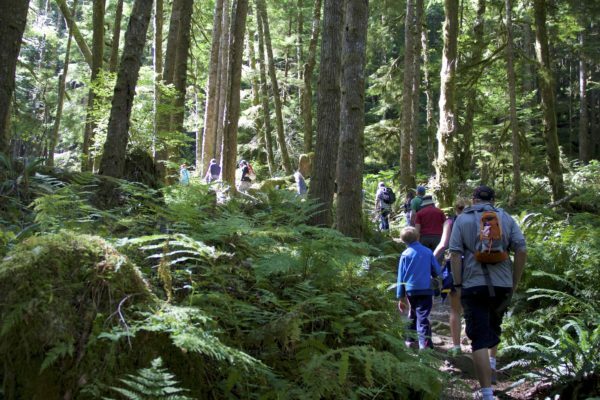 Significant improvements to popular trails in the upper Valley, including renovation of the Snoqualmie Lake Trail to handle increased use, construction of an official trail to Otter Falls and Lipsy Lake, and expansion of the Snoqualmie Lake Trailhead. 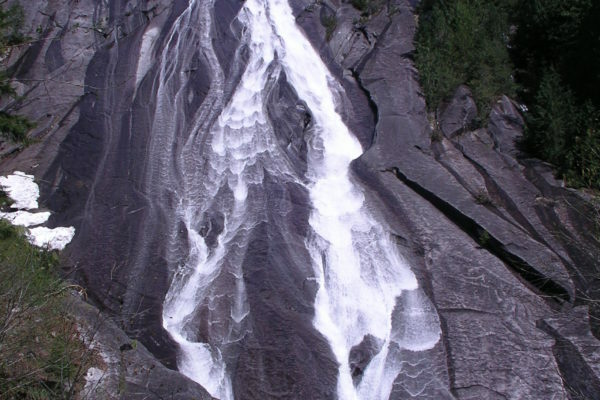 Benefits Expanded parking facilities to meet growing demand; improved trail conditions; protect sensitive ecological areas by replacing unofficial, unsustainable trails with new route to Otter Falls and Lipsy Lake. Construct a family-friendly day-use area near the entrance to the Valley with river access, swimming, and kayak entry/exit point. Facilities will include interpretive signs, picnic tables, and improved parking and access. 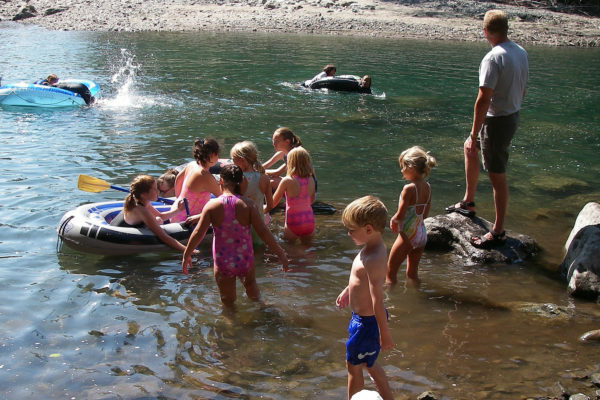 Benefits Families, boaters, and fishermen will all have improved access to this beautiful stretch of the Middle Fork of the Snoqualmie River. Repair large stretches of the Middle Fork Trail, the backbone of the Middle Fork’s trail system, which has suffered significant damage and closures in recent years. Projects include replacing failing structures and rerouting a ¾-mile stretch of trail washed away by the river. Benefits Improved access into the upper Middle Fork Valley and the Alpine Lakes Wilderness; reopen trail to equestrians, who cannot pass the current washout; ecologically sustainable structures to handle all user groups, including hikers, mountain bikers, and equestrians. View a list of all proposed projects in the plan. Most of the upper Middle Fork Valley is under the management of the US Forest Service, while the lands of the lower valley are primarily state-owned and managed by the Department of Natural Resources. Both are willing hosts and partners in opening up the Valley as a primary destination for outdoor recreation in this region. The state has set aside some funding for recreational infrastructure in the lower Valley, but drastic budget cuts over recent years have made it impossible for the Forest Service to do the same in the upper Valley. This means that for more than 80% of the area that will be within easy reach via the new Middle Fork Road, there is no funding mechanism in place to build the necessary infrastructure to meet the vast increase in usage that will soon arrive. Learn how you can help.